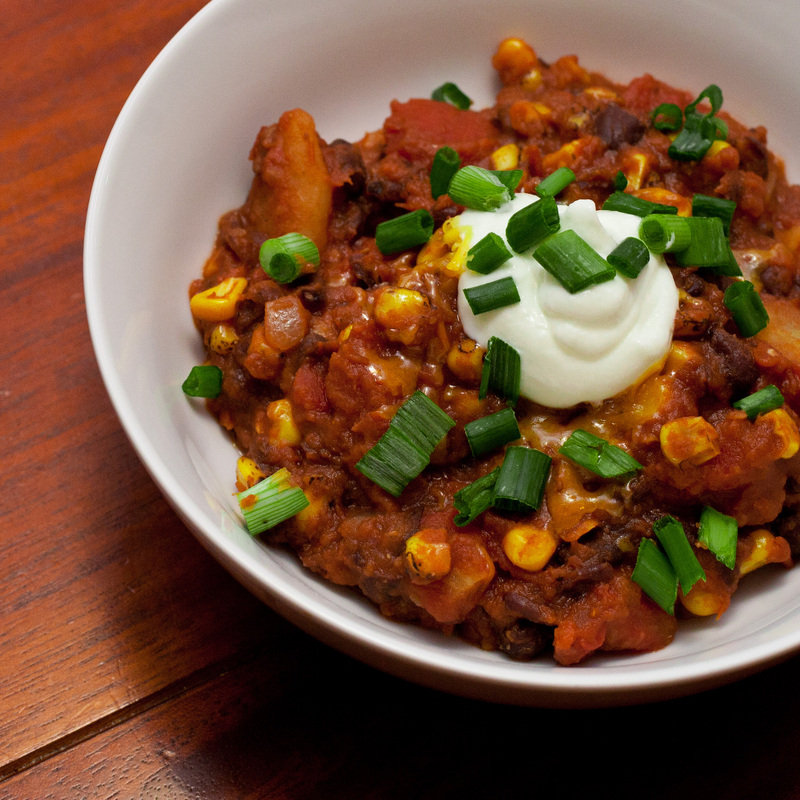 Why do I call this particular veggie chili recipe a “stew?” I’m not totally sure, I just feel like I should! 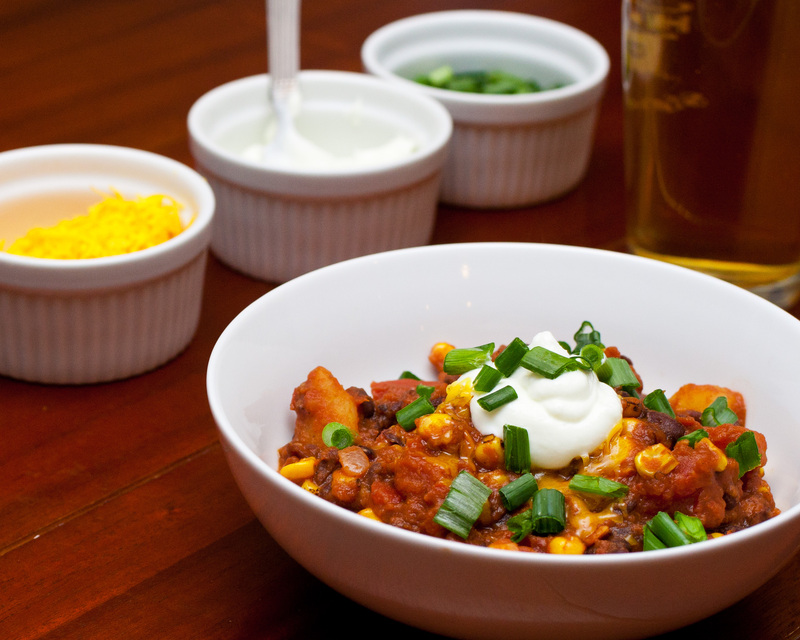 Plus, it has potatoes, gluten-free beer, and is a bit of a different consistency than regular chili. That makes it sort of a stew, right? Well, it doesn’t matter. Anyway, it was phenomenal, and a perfect rich, warm dish for the winter that won’t have you breaking the scale. Unless you top it with cheese or sour cream, this dish is vegan! If you’re looking for a similar but more traditional chili dish, try my “Famous” Black Bean & Corn Chili! Add 2 tbsp olive oil to large pot over medium heat. Add garlic & sautee for 1 1/2 minutes. Add potatoes (peeled and cut into 1/2 inch cubes). Sautee for about 5 minutes. Add all the remaining ingredients except the seasonings/spices and beer. Change heat to low. Start with 2 tbsp chili powder, 3/4 tbsp cumin, and 1/2 tsp cinnamon, then continue to taste test and season as desired. Once the seasoning is roughly where you want it, start the timer. For 45-60 minutes, simmer until potatoes are soft and cooked-through. Once they are soft, add the beer and simmer for 5-10 more minutes. Add any additional seasoning as needed. Serve with sour cream (I like Tofutti vegan sour cream), shredded cheese, green onions or chives, or crackers! Pair with your favorite beer!